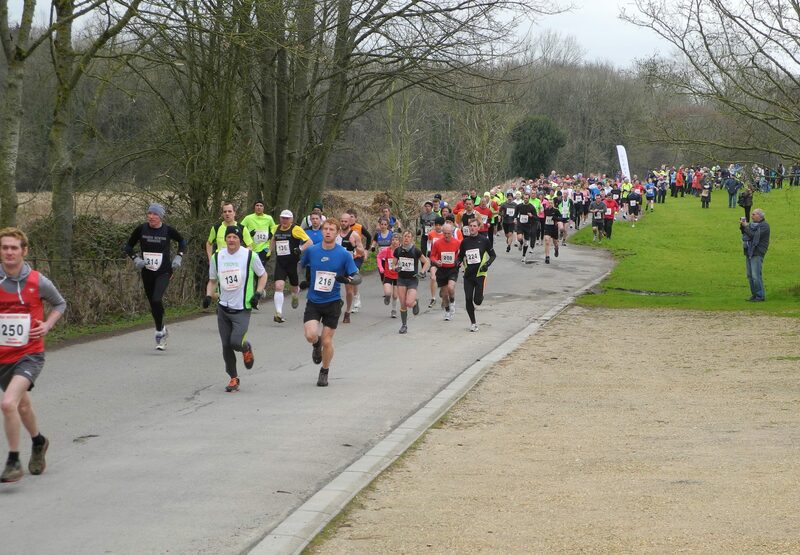 The third GWR 10K Run took place in extremely severe weather conditions last Sunday morning. In probably one of the coldest March days for a decade or so nearly 130 hardy souls lined up at the start. A record number despite some 40+ ‘no shows’ who obviously took one look at the weather and stayed in bed. Not only was it freezing cold but a strong biting easterly wind generated a wind chill factor several degrees lower. Amazingly the men’s course record was still broken by Mark Bungay the winning runner. Hats off to all the club members and volunteers who turned out to steward and marshal the event. Your efforts were very much appreciated by all the competitors. Without doubt the course enhanced its reputation as being one of the toughest all terrain courses in the region. Many of the runners confirmed before they left that they would be back again next year to improve their time and to take up the challenge posed by the course once again. Leweston School have already given permission for the run to take on the equivalent Sunday morning, the 9th March, in 2014. Whilst the 10K runners disappeared in the distance a 2K Fun Run took place. Again the numbers were up despite the weather. These pint size battlers deserve a mention as the conditions were no better for them and they loved it.